Thatto Heath Community Primary School has become the first school in St Helen’s to achieve Centre of Excellence status. Thatto Heath Community Primary School is situated in St Helens in an area of high deprivation, but this is not evident when visiting the school. Although 53% of pupils receive funding via the Pupil Premium, a higher than average number of pupils have Special Educational Needs (26%) and a high number of pupils receive Free School Meals, one would not know who they are, every child matters at Thatto Heath. The school is a larger than average primary school which has 654 pupils on roll. Three form entry classes range from Reception to Year 6 and there is a new provision for two- year olds which opened in September 2016. The school runs a ‘Magic Breakfast Club’ using Pupil Premium funding before the school day begins, between 8 am and 9 am for pupils in Nursery to Year 6 and is free of charge. Children who attend enjoy a wide range of activities both indoors and outdoors. On arrival at the school one is greeted with warmth and made to feel truly welcome by all. During the visit members of staff and pupils alike were courteous and polite at all times and could not do enough to help. The school was inspected by Ofsted in March 2014 who judged the pupils’ behaviour and the safety of pupils to be outstanding and indeed it is! There is an obvious whole school atmosphere of inclusion and aspiration at Thatto Heath within a kind-hearted and family-centred environment. There is a climate of both challenge and support which is embraced by all staff and pupils. It is a motivational school led by a dedicated Headteacher and her team where inclusion is an integral part of school life. This was clear in the conversations which were held with pupils, Governors and members of staff. All staff are committed to ensure that every child in their care matters and the school is an absolute pleasure to visit! 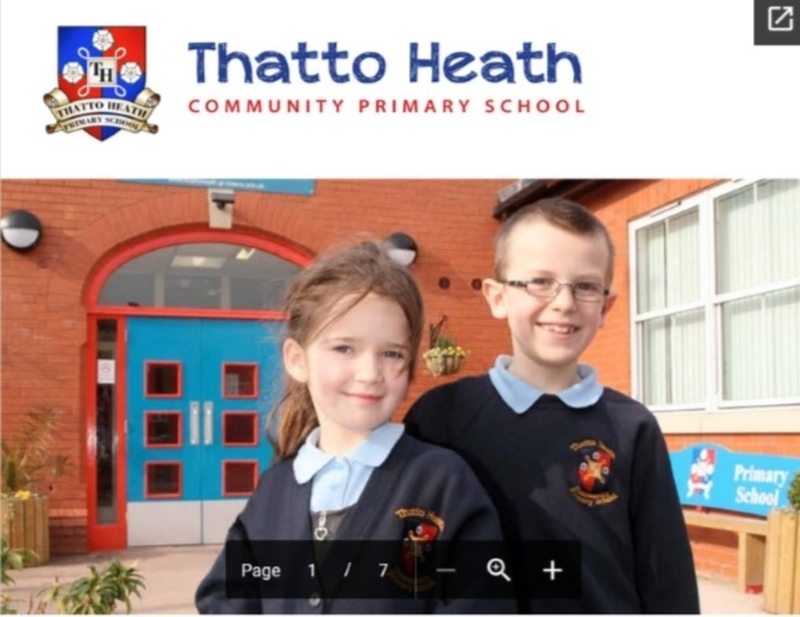 The school has twelve values that are central to the ethos in Thatto Heath Community Primary School, Responsibility, Community, Respect, Honesty, Achievement, Independence, Acceptance, Equality, Appreciation, Care, Happiness and Collaboration. Learning experiences are fun, varied and meaningful, giving all pupils the opportunity to grow and achieve. All of the pupils’ individual needs are catered for and all staff are committed to ensuring both success and enjoyment for all pupils.